Roku today announced that it’s free, but ad-supported video streaming service, The Roku Channel, is now available to view on the web. You no longer need to own a Roku device to access it. You can stream free movies TV shows across PCs, phones, and tablets. However, one thing you will need to start streaming its catalog of content is a Roku account. 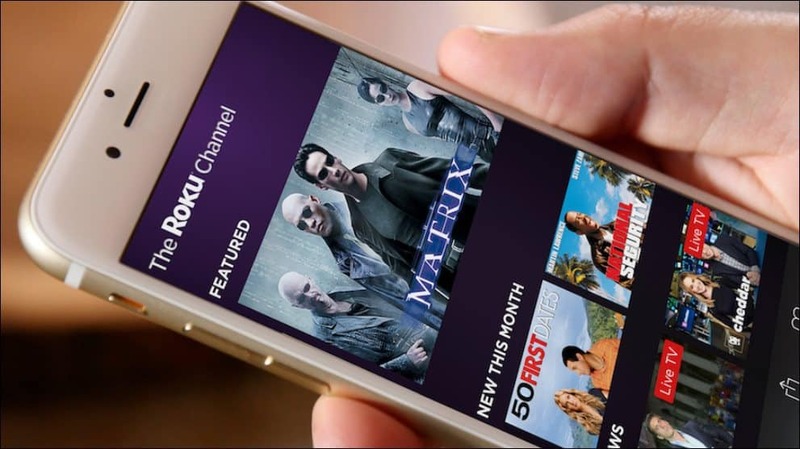 The Roku Channel first launched on Roku devices nearly a year ago. And over the past year, the company has added a more robust catalog of movie and TV content through licensing deals with studios like MGM, Paramount, Sony Pictures, Lionsgate, and Warner Brothers. And a few months ago the company added free live news channels to the lineup. The content is monetized through advertising which Roku’s in-house team runs. And, similar to Netflix and Amazon, content is added or removed periodically. To start watching, launch your browser and head to therokuchannel.com and sign in with your existing Roku account if you have one, or create a new account. The interface is barebones, but you’ll have access to its catalog of movies, TV shows, and live news. You aren’t going to get the latest blockbuster movies and hit TV shows, but you will have unlimited access to award-winning classic comedies, dramas, thrillers, and more. For example, right now you can stream The Matrix trilogy, School of Rock, Wayne’s World 2, and classic TV shows like I Dream of Jeanie and Good Times. The company also announced a “Feature Free” section that will start rolling out to its own devices which will point users to free content as well as other apps like Fox, Pluto TV, Crackle, ABC, and others. “In our on-going quest to make it easy for our customers to find great free entertainment, today we’re introducing “Featured Free,” a new home screen navigation that puts a spotlight on free content across the Roku platform,” notes Roku exec Rob Holmes. The new section will display on the top of the main menu and will be rolling out to all Roku owners in the U.S. over the coming weeks. Since this is just rolling out today, you can expect a few hiccups. In my testing so far it works as you’d expect in Chrome, Firefox, and Edge on Windows – but it doesn’t like it if you’re on a VPN. Although, it doesn’t want to work with Chrome on Android, but Firefox on Android is working. And Safari on iOS is working just fine. Also, keep in mind that you will need to disable an ad-blocker if you’re using one, otherwise nothing will play. Still – gotta thank them for providing the facility Free4 at least some people. this would be great if you did’nt need a credit card. it’s just not worth it. why would they need my credit card if i won’t be paying and don’t need to pay for all the new in theaters films and tv shows with no commercials??!! john: I didn’t enter any payment information when I signed up for ROKU (still have none on file). I did an internet search about it (probably “sign up for ROKU without credit card”) and followed the directions, sorry, I can’t remember what they were, but it was pretty simple. It’s possible times have changed and I’m wrong, but F.Y.I. same here, I did not enter any payment info. Works good.